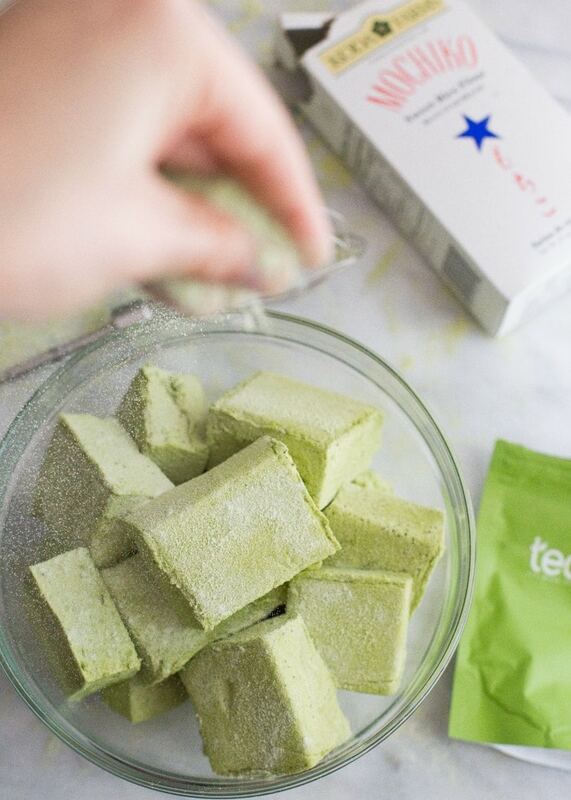 Oh, pillowy matcha marshmallows with your grassy, earthy sweetness.. where did you come from? From my dreams? My pregnancy-induced cravings that know no bounds whatsoever? You know.. I once wrote a poem about pregnancy cravings, and I’d like to take this opportunity to share the ode with you now. My only regret is that I’m limited in my presentation, preferring, of course, a dramatic spoken-word setting. Ahh, yes. 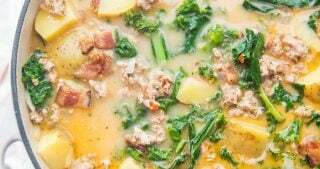 I remember this night well, salivating at the thought of mashed potatoes and brown gravy from a particular Southern kitchen we frequented when I was a kid. 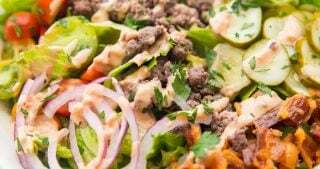 I hated it, or so I thought, but that night it was all I could do to keep myself from hunting down the proprietor, donning a ski mask and sporting a nonchalant machete, forcing them to make me a bowl for the love of all things holy. Such restraint have I! 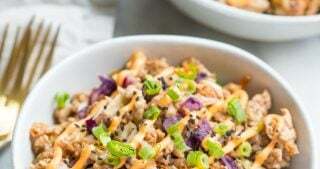 The mashed potato craving has passed (or so I thought.. merely talking about the object of my passion is reigniting the spark, and I might just have to hop in the car–thankfully we find ourselves in daylight hours for this craving–and speed all the way into Midtown for a bowl. I’m huge enough that I can feign labor, should I get pulled over. 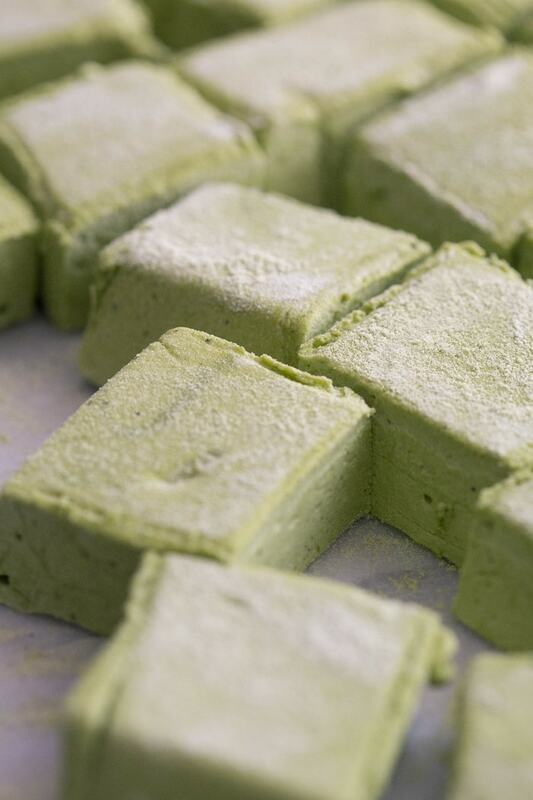 ), but the feelings were similar when the idea of matcha marshmallows alighted on my mind. Fervor, passion, and hungry desperation (or is it desperate hunger?).. a trio of emotions usually reserved for the inside cover of a 50 Shades of Whatever-It-Is-Now hardback. 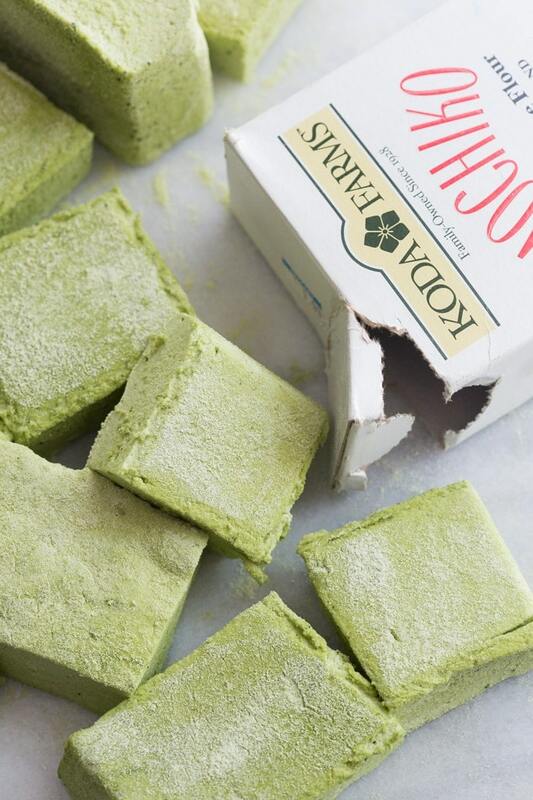 So, it seems that’s where the matcha marshmallows came from. From the little man who lives in my belly and kicks his apartment walls so hard it makes my entire stomach shake, who high-fives my bladder (sometimes opting for a singular pinky jab straight to that particular organ) on the reg, and orders what we like to call “womb service” at all hours like it’s the St. Regis. The St. Regis in Orange Mound, because damn, he is really requesting some fried chicken right about now. 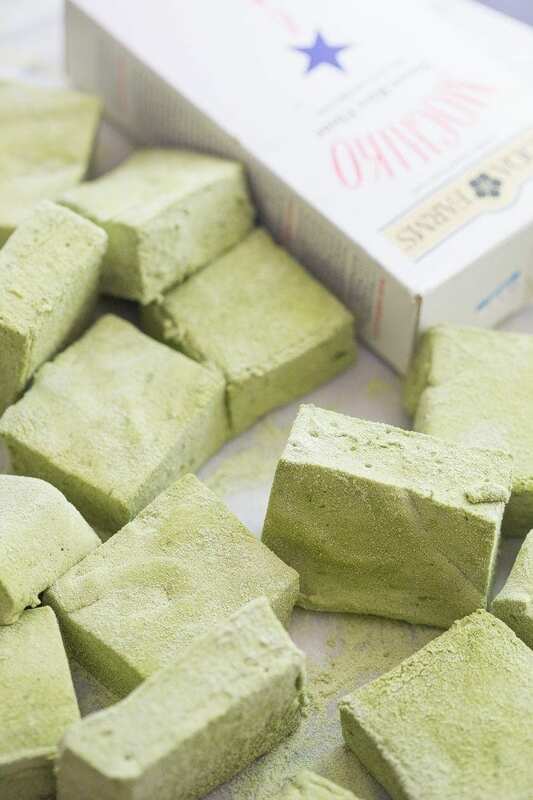 Prosaic justification of my cravings aside, these matcha marshmallows are damn good. 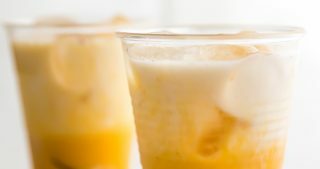 They’re soft and tender and rich yet far from overwhelming, just like a perfect homemade marshmallow should be, but infused with an elegant earthiness that grounds the sweetness wonderfully. 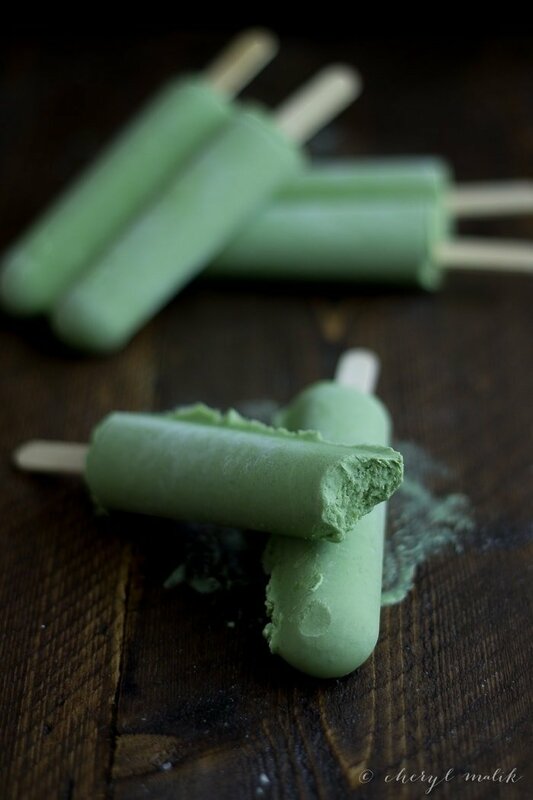 They’re insanely green and consequently full of mega antioxidants, which basically makes these health food. Oh, and gelatin, too! 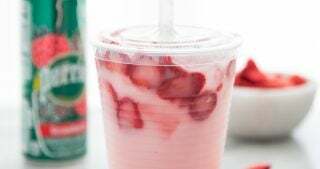 Gelatin.. also a health food. You should eat some ice cream, just to balance these out. They’re basically cardboard, they’re so good for you. Not…. that I’m implying that cardboard is good for you. But..
Hey! Look over here! 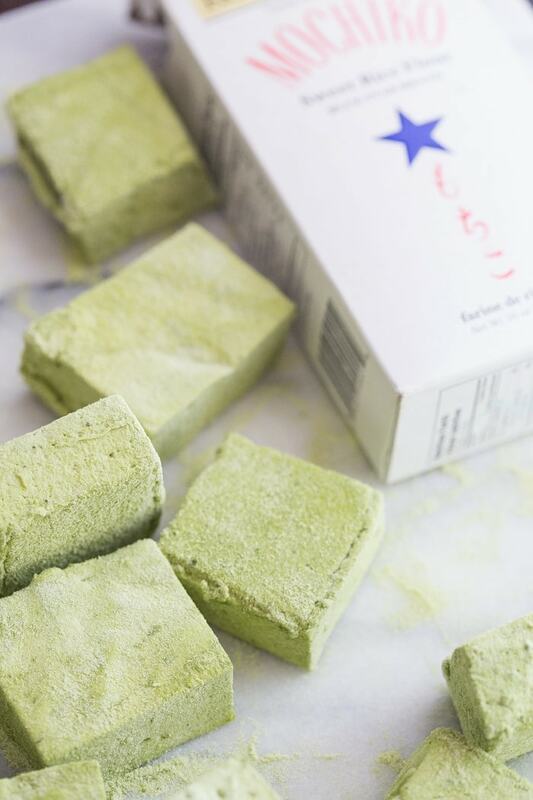 Matcha marshmallows! Make them. And send me some. Or else I’ll show up at your house at midnight in a ski mask with a machete. Pretty sure you’ll know who it is, though; the swollen belly tends to give me away these days. 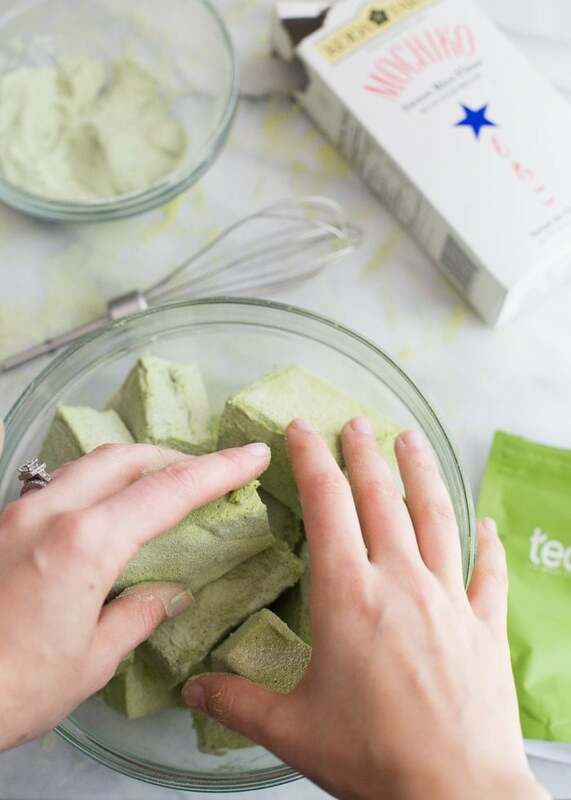 Pillowy homemade marshmallows infused with antioxidant-rich, grassy matcha. A perfectly elegant twist on a classic confection. 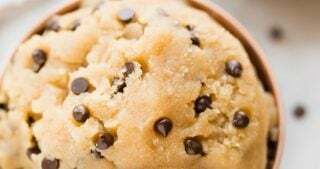 In a small saucepan combine the remaining 1/2 cup water, granulated sugar, corn syrup and salt. 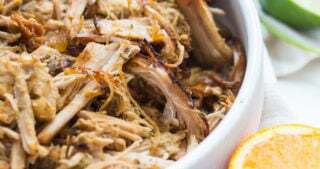 Place over medium high heat, cover and allow to cook for 3 to 4 minutes. 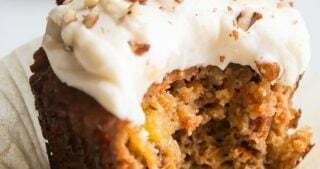 Uncover, clip a candy thermometer onto the side of the pan and continue to cook until the mixture reaches 240 degrees F, approximately 7 to 8 minutes. Once the mixture reaches this temperature, immediately remove from the heat. 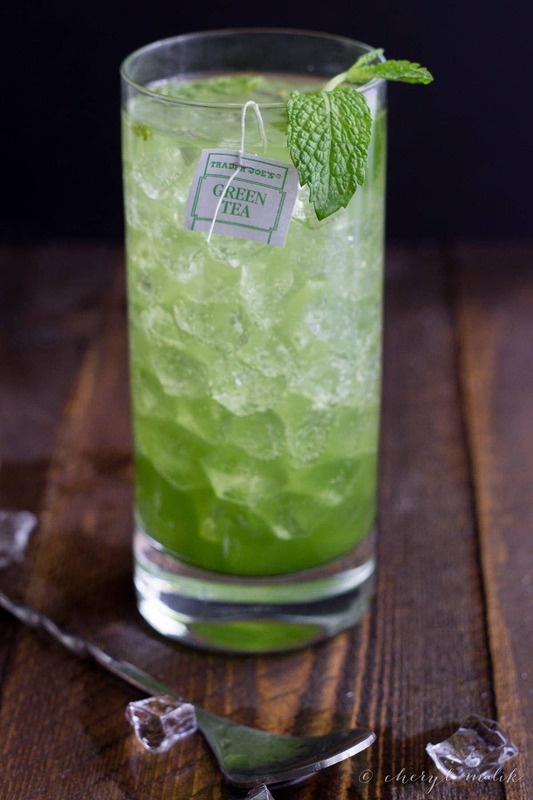 Whisk in 2 tablespoons matcha powder. 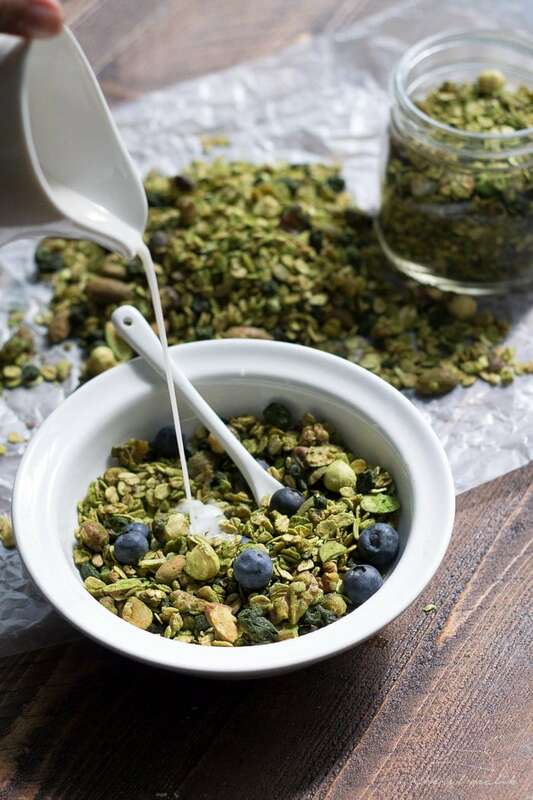 In a small bowl, place sweetened rice flour and whisk in a bit of matcha to color the mixture light green. 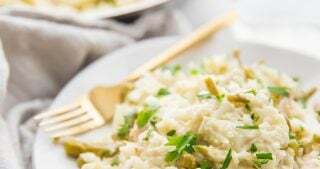 Lightly spray a 13 by 9-inch metal baking pan with nonstick cooking spray. 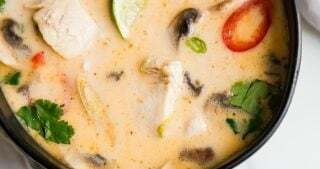 Add the sweetened rice flour mixture and move around to completely coat the bottom and sides of the pan. Return the remaining mixture to the bowl for later use. When ready, pour the mixture into the prepared pan, using a lightly oiled spatula for spreading evenly into the pan. Dust the top with enough sweetened rice flour mixture to lightly cover. Reserve the rest. Allow the marshmallows to sit uncovered for at least 4 hours, up to overnight. Turn the marshmallows out onto a cutting board and cut into 1-inch squares using a pizza cutter dusted with the sweetened rice flour mixture. Once cut, lightly dust all sides of each marshmallow or toss with the remaining mixture. Store in an airtight container for up to 3 weeks. Marshmallow recipe based on Alton's. My mellows never set, they are just floured goo. Followed recipe step by step. What went wrong? OMG, I missed these, but I’ll be making them very soon! Huge fan of matcha!!! 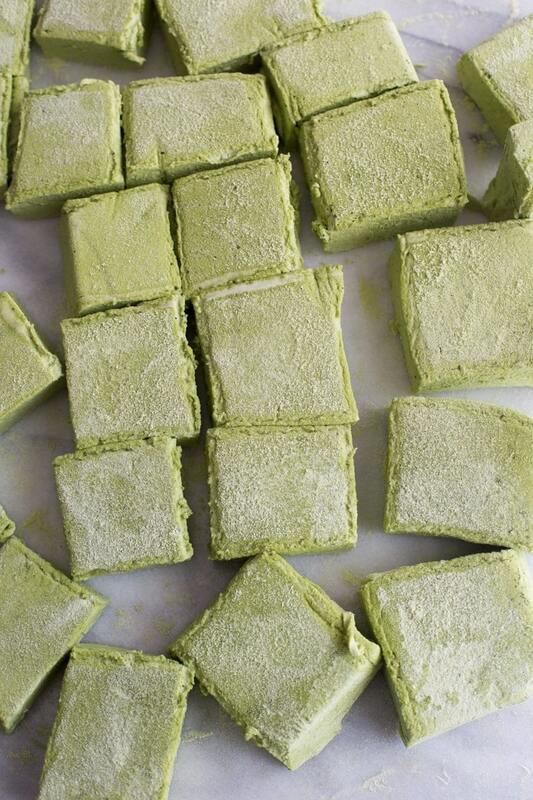 Cheryl, you rock the house. . not only with these matcha marshmallows . . but the poem. Dude. Freaking love that last line. 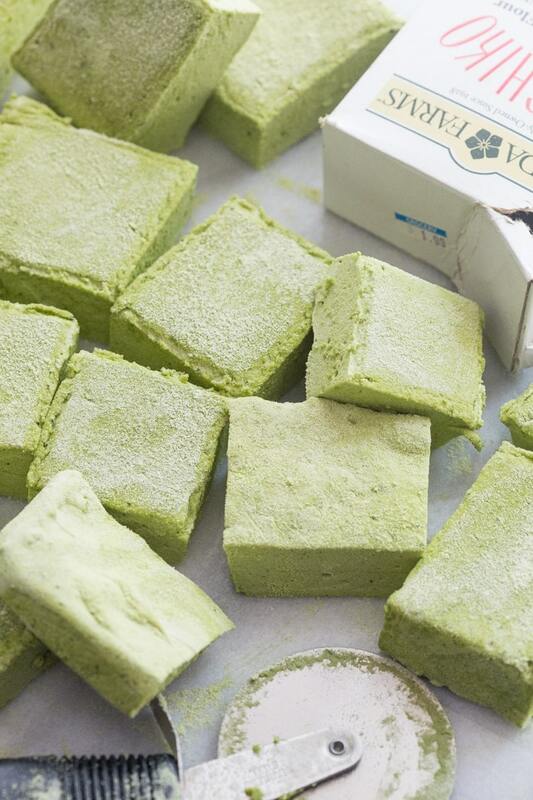 😛 And these matcha marshmallows LOOK damn good.